Want to start having fun with sensors? The Invent Basic Sensor Pack is a great place to start. We have put together a is a collection of the most common sensors just for you. Most of which you are most likely going to end up using in your microcontroller and robotics projects. 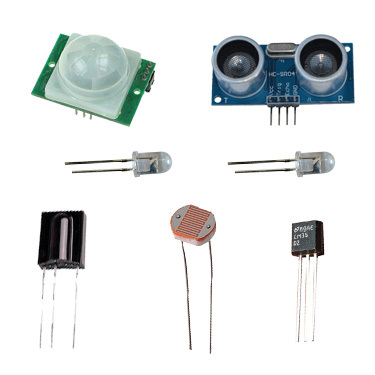 With this kit, you can sense motion, force, humidity, infrared light, ambient light, ultrasonic pulses, temperature and more. Your geeky electronics friend will really appreciate this kit as a birthday gift!